Planets in a room is a project by Speak Science, with the collaboration of INAF-IAPS, the Roma Tre University (Dipartimento di Matematica e Fisica), AstronomiAmo and 2be3D. 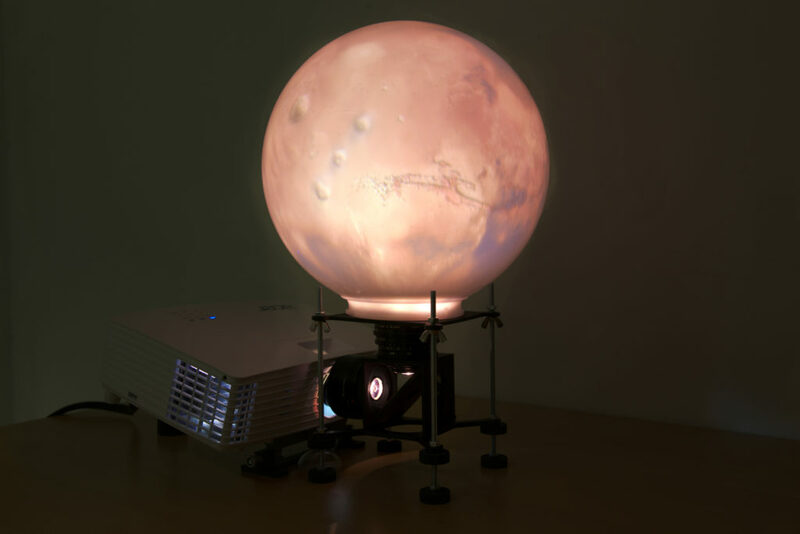 Planets in a room is a DIY low-cost kit to build a small, 30cm spherical projector to teach the planets and the stars. Planets in a room will be distributed starting from September 2018 at www.planetsinaroom.net. The project was funded by the Europlanet Outreach Funding Scheme (visit this page) and was among the 19 Reccomended Projects 2018 selected by IAU’s Office of Astronomy for Development (visit this page). 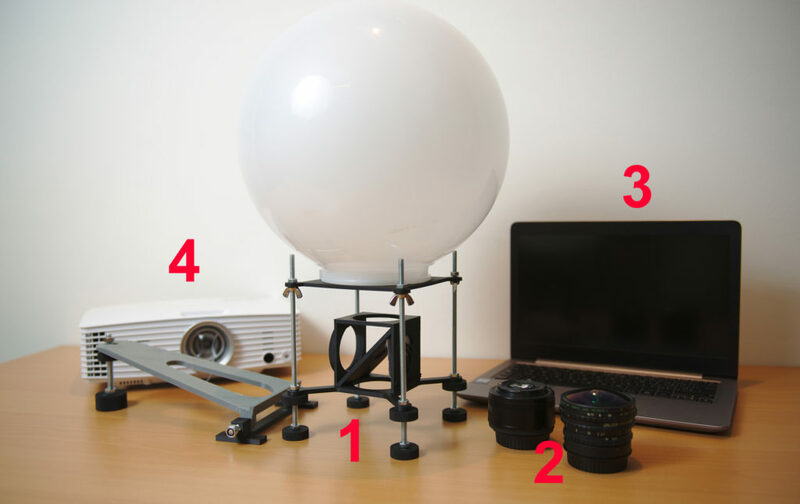 Planets in a room is a DIY kit including a 3d printed system and a plastic sphere (1). The kit needs to be to be assembled with two commercial camera lenses (2), an external standard PC (3) and a projector (4). These objects are not included in the kit and are not supposed to be for the sole use in the system. The system also includes a software interface to be used online with your PC (no download needed) and effective scientific exhibits to be easily displayed with your system. Planets in a room is a small object when in use and once it has been built, assembled and calibrated for the first use, it can be easily disassembled and moved. You will also find all needed tools and support to develop your original contents for the system. Planets in a room can be used by teachers to introduce space and astrophysics in classroom and to teach science in an innovative way. It can also be used to explain other topics (like history or geography). Planets in a room can also be used by students as an outreach tool (for exmaple in open days). 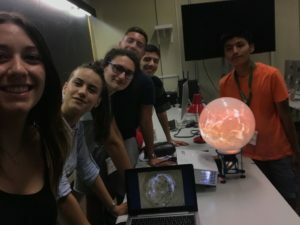 In the 2018/2019 accademic year, a pilot project was organize at the University of Tor Vergata to involve high school students of a Scientific Journalism course (see this page to learn more). 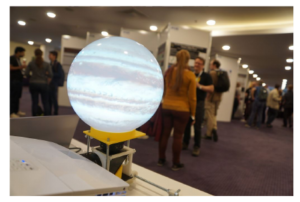 Planets in a room was inspired by the educational use in INAF-IAPS of a spherical 1m diameter commercial monitor called Educational Sphere XL built by 3Des to show and teach the planets and the stars. The original contents of the lessons and conferences in INAF-IAPS are developped using recent planetary images and data from ongoing space missions or historical images. To know more about the educational activities in INAF-IAPS, please visit this page.